For the past several months I have contemplated blogging, but never really sat down and dedicated enough time to do so. Alas! I have finally committed myself to begin! 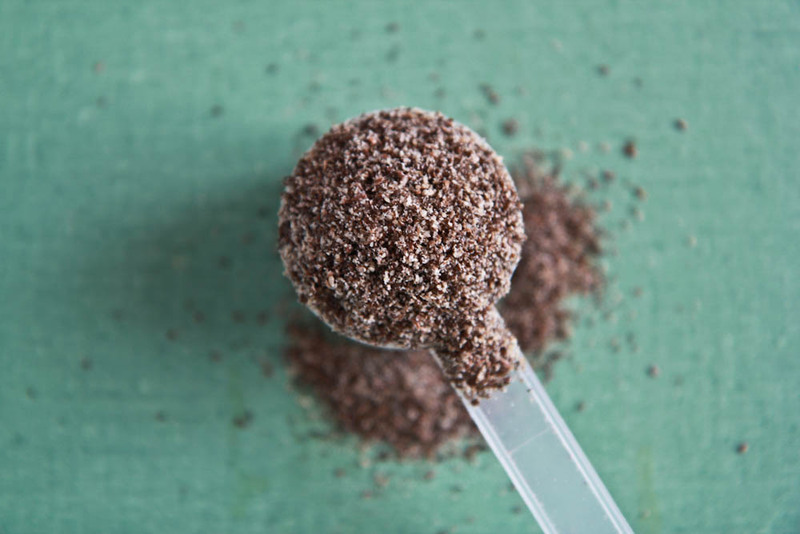 During the Earth Day celebration at Lake Eola this past Saturday, I had my first experience with Mila seed; a “proprietary blend” of chia seeds. 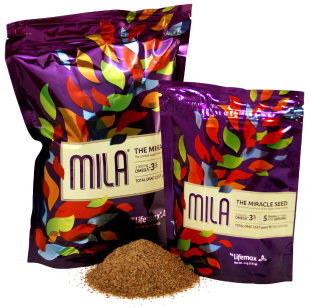 You may have already heard of Mila seeds, but I was a little behind on knowing about this product. Lifemax is an independent distributor of Mila; they were promoting their product at Lake Eola, and quite well I must say. They reeled me in with great marketing tactics and of course, with a smiling and enthusiastic representative to speak on behalf of the product’s outstanding nutritional profile: 3000mg of Omega-3, 3g of complete protein, 5g fiber and a very impressive ORAC score (a way of measuring the antioxidant content of food). Great Scott! What a product. However, before Mila was discovered, we all thought that flax seed and walnuts had the highest omega-3 concentrations. Perhaps then, there is some other undiscovered plant source with bountiful omega-3 values. Also, the science of antioxidants and phytonutrients is nowhere near forming such conclusions; there is much more left to study before anyone should fully believe that Mila has the highest of these concentrations. Lifemax also likes to promote their product as the best whole food in the world. Just take a minute to re-read that, and ponder what it really means. If you’re still not sure, then you’re right on track! The best whole food on what grounds? Sure the nutritive quality is great, but it’s not like Mila could solely and healthfully sustain human life. Eating a variety of whole foods in a balanced manner healthfully sustains life, not one particular food. This is just another marketing tactic that grabs the attention of the consumer, leading them to believe their life will be extremely better by purchasing this product. It’s quite silly. I cannot deny that omega-3’s are beneficial to the cardiovascular system by reducing inflammation and improving cholesterol levels; this has been studied extensively and published in renown journals. But, I’m hard pressed to believe that someone who eats Mila each day, yet continues to smoke, avoids exercising, and regularly consumes highly processed foods will produce as great of health benefits as Lifemax enthusiastically portrays. Many other factors play a role in maintaining health; one single food will never fix a health issue. And last but not least, Dr. Bob Arnot advocates and speaks for Lifemax’s Mila product. As a “trusted physician,” he himself has benefited from eating Mila – he has experienced weight loss and appetite control. By sprinkling Mila on his morning grains he finds that he is not so hungry at lunch, so he just eats a small chicken breast. Then later in the afternoon, he sprinkles some more Mila in some Gatorade or almond milk; enough to power his late afternoon workout sesh, stave off hunger throughout the night and get a great night sleep. That’s right, no dinner for Doc. This makes him feel very lean, and he finds that he could weigh one pound less on any given day, losing 8 pounds in 2-3 weeks! Surely Mila isn’t responsible for this weight loss – the man ate virtually nothing! And I find it hard to believe that sustaining this way of eating is even feasible. I urge you to watch the videos on their site and develop your own opinion, but this eating pattern is in no way safe nor is it effective. I hesitated to include this paragraph for fear of someone considering Dr. Bob’s method of weight loss. However, it is just so ridiculous I had to share. Well, that was my two-cents on Mila and Chia. I believe these seeds can be a very nutritious addition to an overall healthy diet, but I don’t see the need to spend $55 per bag of Mila to get the health benefits it may offer. Especially when you can find the same nutrients in other foods, basic Chia included, for much cheaper. Be sure to question a food company who heavily relies on ostentatious marketing. Think for yourself!